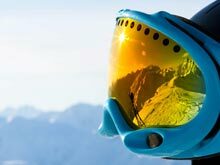 A couple of weeks ago I wrote a blog post that I hoped, when read, that people would be able to relate to with their own ski performances in the past, see here. 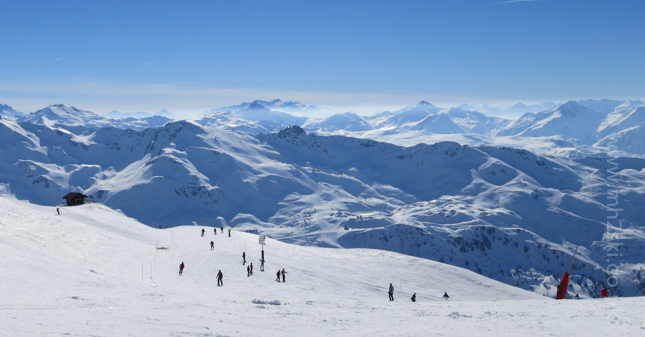 This week on the blog I'm going to take my Ski Instructor's hat off, not talk about ski technique at all, but discuss another area of interest that visitors I'm sure will be able to connect with. 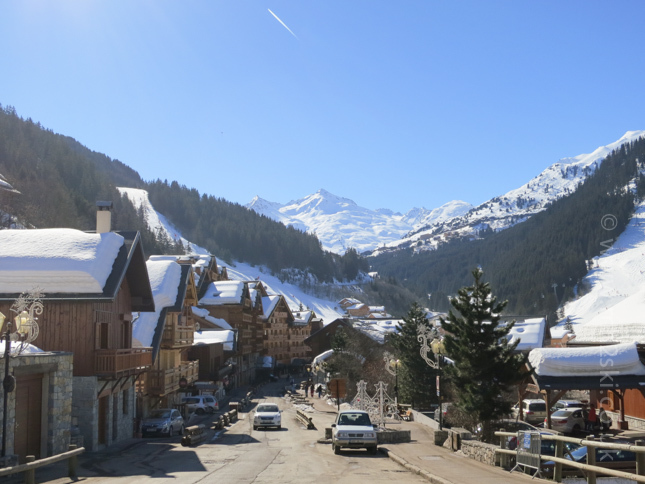 Views from the Meribel valley. "Here we go again, you always harp on about your gorgeous scenery Martin" I hear you sigh, but stick with me, there is more of a reason this time. Let me explain. A few weeks ago, a friend of mine asked a favour. Her son had been given a project at school, and he required a daily photo from the mountains; a record of where it was taken, at what altitude and looking towards which direction. "Would I be able to help out? ", "Do I need an excuse to take photos" I replied. So a task had been set, all I needed to do was take a photo a day, what could possibly go wrong? Whenever a client wanted to stop on the mountain and take a Selfie, check their Facebook status, or just general fiddling of their ski boots, I took it as an opportunity to quickly shoot the image. But of course it's not as easy as that. Have you ever taken a photo up in the mountains, looked at the back of the camera at the screen, and then thought that it's a rather average photo of the landscape? I certainly have. It is actually quite difficult to take a good landscape photo. It's rare that I take out my proper professional camera equipment with me on the mountain these days whilst ski teaching due to the weight of the kit. This means using 'Canon Junior', my little compact camera which makes it even trickier to nail a good shot. Then I realised I was getting a little bit too serious about this whole thing. Would a child spot the difference between a shot taken on Canon Junior and one taken by an expensive full frame body, a prime lens, tripod mounted with cable release, soft graduated neutral density filters, using ISO 100 at aperture f11? Didn't think so, in fact I may have lost half of you now!?! So, time to regroup, and just think about getting one shot a day. So that's what I did; during ski lessons, at the side of many different clients, explaining the reasons why, which often prompted them into taking a photo. And that's the thing about life where we sometimes take our cameras up on the mountian, or to be more realistic our smart phones, but don't actually take that many photos. Sure, if your best mate has just tripped over their pole and landed on their face, you would take a shot. 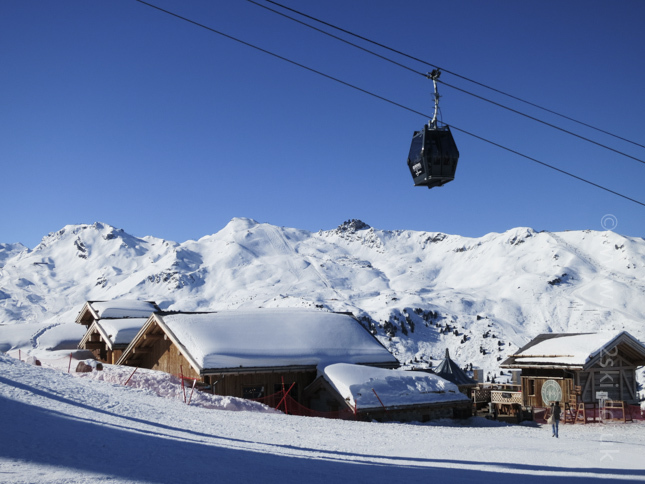 Or you happen to end up at La Folie Douce whilst the afternoon cabaret is in full flow. Snapping away was a real pleasure in a place where both my clients and I were happy to stop still for a few seconds and admire the view. Each evening I would compose an email, attach the photo, state the location and orientation and send it off. 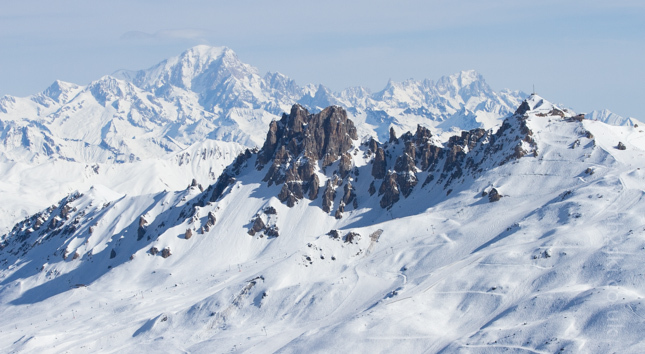 Quite often I'd need to check the exact altitude on either the Piste Map or an IGN (French equivalent to Ordnance Survey) map. 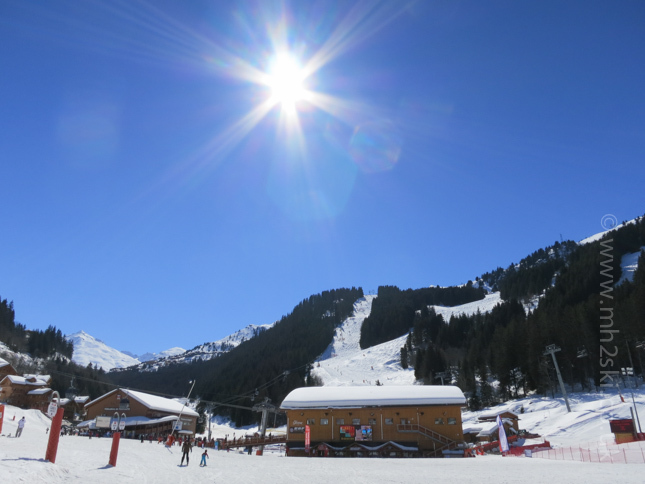 It hadn't actually dawned on me how many peaks we have here in Meribel over 2,700 metres. 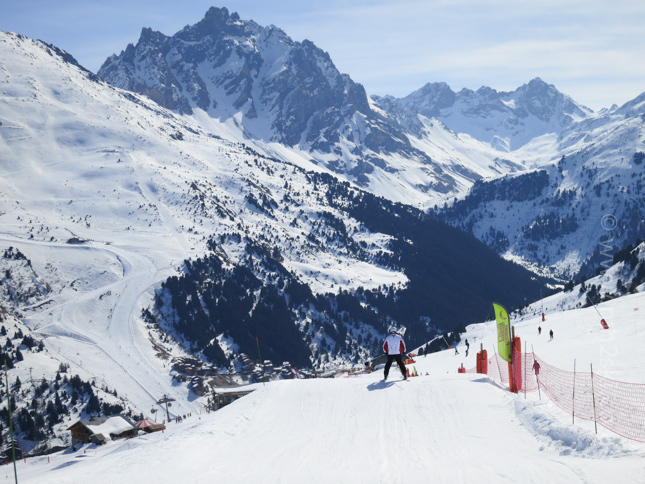 Some people claim that Meribel is a low French ski resort, however the ski area can rival the altitudes with the best of them. There were a mixture of viewpoints, including down at resort level. Here are a few more images taken by Canon Junior, don't forget you can click on each image to enlarge. It just so happened that my friend's son's school project coincided with a lengthy period of sunny weather, including a few roasting days even high up on the mountain. 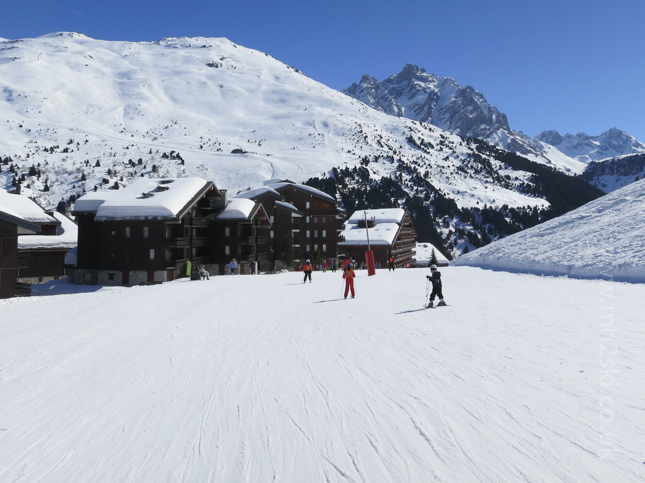 However the snow conditions have held up well considering, mainly due to the fact we received so much fresh snow throughout the month of February. It is in fact snowing heavily outside as I tap away on the keyboard. 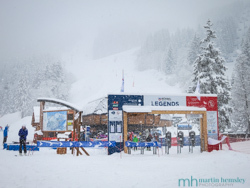 Meteo France are predicting over 30cms of fresh snow in the next 24 hours at 1,800 metres. How cool is that? 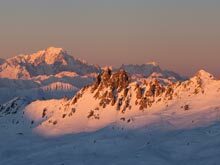 If you enjoyed this article you might like to read another blog post titled 'Happy Hour' about an epic day I had a few winters ago shooting sunset landscapes, and trying to hide from the pisteurs, click here for the link. Feel free to share away on Facebook, Twitter and Goggle+ by using the social media buttons. Or leave a comment below, it's dead simple to do and Michael and I love to hear from you. Live With Passion. Martin.